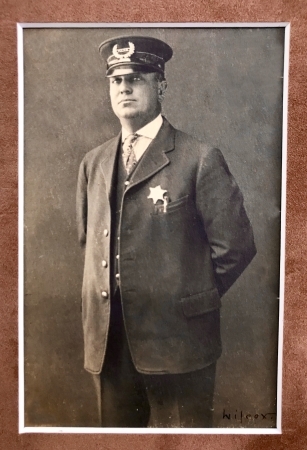 Ukiah Township Constable. Made by Patrick & Co. San Francisco, CA. 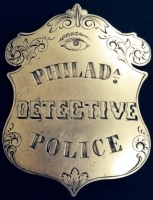 1908-1919 wearing the badge pictured to the right. 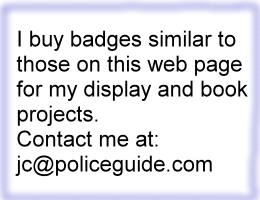 The badge was made by Moise-K Makers San Francisco. 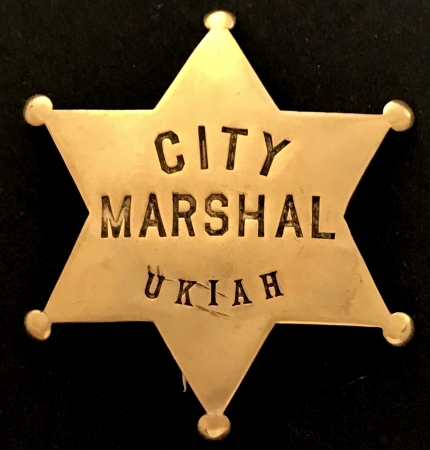 City Marshal Ukiah badge was made by Moise-K Makers San Francisco. 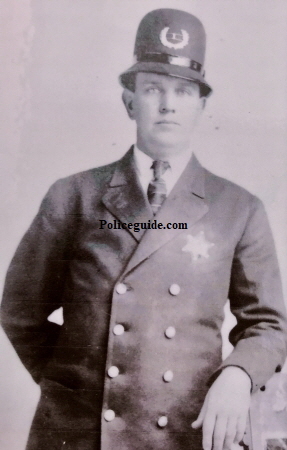 Clyde Clinton Brewer was born in Van Wert County Ohio September 1, 1879. 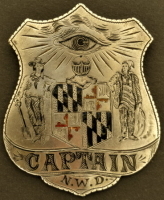 He married Thelma K. Brewer and they had a daughter Annabelle. He died July 31, 1966 and is buried in the Ukiah Cemetery. 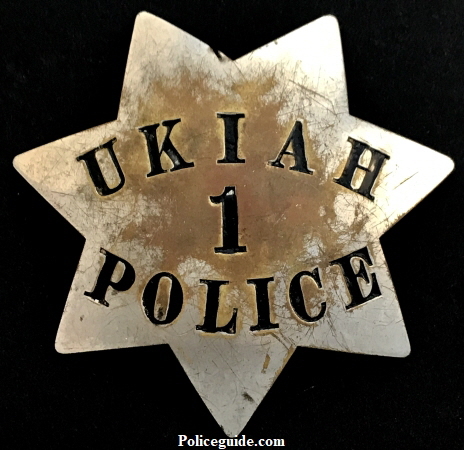 Ukiah Police badge #1. 3 1/2” tall and made by Moise Klinkner S.F. 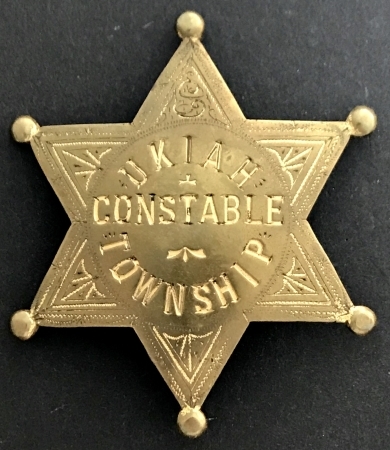 this badge was worn by Clyde Brewer when he was the only policeman in Ukiah.